In 2017, Americans for the Arts conducted research to illuminate effective practices of emerging and veteran leaders in the field of arts education to explore strategies toward broadening and diversifying the leadership pipeline. In 2017, Americans for the Arts conducted research to illuminate effective practices of emerging and veteran leaders in the field of arts education to explore strategies toward broadening and diversifying the leadership pipeline. The research was intended to inform the development of programming to assist in skill building for intergenerational dialogue, and to support the concept of cyclical mentorship among new and seasoned leaders in the arts education field. The research revealed five key themes, and this webinar will focus on the skills necessary for INSPIRING OTHERS TO ACTION. Hear strong examples and cogent advice from emerging and veteran leaders in the arts education field. 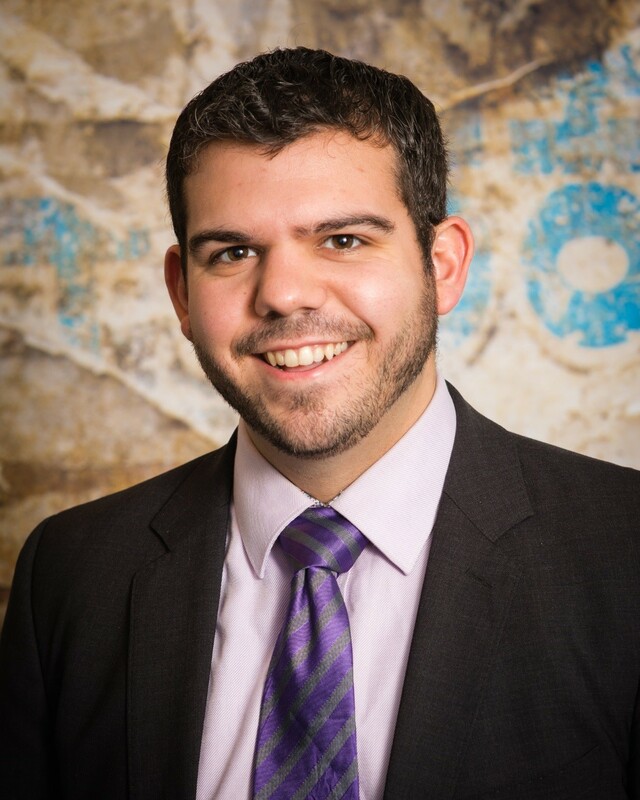 Jeff M. Poulin leads the Arts Education Program at American for the Arts, where he works to advance local, state, and federal policies supportive of equitable access to arts education throughout the United States. In his role, Jeff trains over 10,000 people annually, publishes research and policy analysis, manages strategic partnerships, and leads networks of stakeholders. With over a decade of experience as a performer, teaching artist, education researcher, and arts administrator, Jeff’s work is grounded in social justice and seeks transformative policy solutions to society’s most-challenging problems. Jeff is widely published, serves as a reviewer for grant and research panels, and speaks to audiences across the country and around the globe. Jeff hails from Portland, Maine is a fellow of the Royal Society of the Arts (UK). He holds degrees in arts management, cultural policy, and education from Oklahoma City University, University College Dublin, and the University of Glasgow. Courtney J. Boddie, New Victory Director of Education/School Engagement, oversees all programs related to school communities including the New Victory Education Partnership program, teacher professional development training in the performing arts and professional development of 55+ New Victory Teaching Artists. During her tenure, The New Victory Theater received the Americans for the Arts Outstanding Education program award (2008) and a special Drama Desk Award (2012) for “...nurturing a love of theater in young people.” Ms. Boddie is the Creator and Host of Teaching Artistry with Courtney J. Boddie, a monthly podcast featuring engaging and investigative interviews, roundtable conversations and panels with artists and arts education leaders. She is an adjunct professor at New York University and The New School. Ms. Boddie was President of the Association of Teaching Artists (ATA) 2015 to 2017 and is currently on the Board of Directors (Treasurer, 2018-19). Additionally, she serves on the Teaching Artist Committee of the NYC Arts in Education Roundtable, the editorial board for the Teaching Artist Journal and is a Women’s Center Media SheSource. Prior to joining The New Victory Theater in 2003, Ms. Boddie was Program Associate for Empire State Partnerships (NYSCA) and a teaching artist for Roundabout Theatre Company. She received her Master’s degree from the Educational Theatre Graduate Program at New York University. In 2017, Americans for the Arts conducted research to illuminate effective practices of emerging and veteran leaders in the field of arts education to explore strategies toward broadening and diversifying the leadership pipeline. The research was intended to inform the development of programming to assist in skill building for intergenerational dialogue, and to support the concept of cyclical mentorship among new and seasoned leaders in the arts education field. The research revealed five key themes, and this webinar will focus on the skills necessary for BROADENING AND DIVERSIFYING THE LEADERSHIP PIPELINE. In his role at Americans for the Arts, Jeff has trained over 10,000 advocates in all 50 states. He was also been instrumental in the publication of the 2014 National Core Arts Standards, a leader in the creative youth development movement, and a founding board member of the Innovation Collaborative. Before arriving in D.C., Jeff worked for several nonprofit and commercial organizations in the US and abroad focused primarily in production and programming, audience development, research and policy. Notably, he was an advisor on the implementation of the first national Arts in Education Charter under the directions of the Ministers of Arts and Education in the Republic of Ireland. Jeff frequently speaks at a number of nonprofit organizations and universities. Prior to serving as the Executive Director for the School of Arts & Culture at the Mexican Heritage Plaza, Tamara was the Director of Multicultural Leadership for 1stACT Silicon Valley. From 2003 to 2008 she served as Executive Director of MACLA/Movimiento de Arte y Cultura Latino Americana in San Jose, California. From 1999 – 2003 she served as Program Director for the newly opened Washington United Youth Center, a partnership between Catholic Charities and the City of San Jose. She is a member of the Board of Trustees of the Western State Arts Federation. Tamara is also co-founder of the Multicultural Arts Leadership Institute, a leadership development program for people of color working in arts, culture and entertainment. A traditional Aztec dancer for the past 14 years, she is a member of Calpulli Tonalehqueh Danza Azteca of San Jose. Tamara holds a Bachelor’s Degree in Spanish Literature from Stanford University. In 2017, Americans for the Arts conducted research to illuminate effective practices of emerging and veteran leaders in the field of arts education to explore strategies toward broadening and diversifying the leadership pipeline. The research was intended to inform the development of programming to assist in skill building for intergenerational dialogue, and to support the concept of cyclical mentorship among new and seasoned leaders in the arts education field. The research revealed five key themes, and this webinar will focus on the skills necessary for DEVELOPING A FACILITATOR’S ROLE. Nicole Amri is a 2006 alumna of SAY Sí and a 2012 graduate from the University of Texas at San Antonio with a BFA in Painting and a BA in Communication: Public Relations. She is also a certified nonprofit professional through the Nonprofit Leadership Alliance. Driven by learning and creating, Nicole’s great passions are education and the arts. As a multidisciplinary artist she explores human rights issues with a focus on interpersonal relationships and societal conditions. In addition to her position as Program Director for SAY Sí, Nicole currently serves on local and national committees such as city-wide collective impact initiatives: SA2020 and Excel Beyond the Bell SA and national groups: the ALAANA Network and National Advisory Committee to the Creative Youth Development National Partnership. When she’s not working or creating, Nicole loves to dance, cook and listen to music (often at the same time). In 2017, Americans for the Arts conducted research to illuminate effective practices of emerging and veteran leaders in the field of arts education to explore strategies toward broadening and diversifying the leadership pipeline. The research was intended to inform the development of programming to assist in skill building for intergenerational dialogue, and to support the concept of cyclical mentorship among new and seasoned leaders in the arts education field. The research revealed five key themes, and this webinar will focus on the skills necessary for CREATING YOUR COALITION. Libby Chiu is an Adjunct Lecturer in the Goucher College Master of Arts Administration program, teaching three courses: International Arts Policy, Arts Education, and Grantsmanship. In 2015, Libby was appointed by Governor Mike Pence as a Commissioner of the Indiana Arts Commission. Libby was most recently Chief of Staff at the Illinois Arts Council where she also managed the Arts and Foreign Language grants program, and was co-designer and project director of the Education Leaders Institute, an initiative of the National Endowment for the Arts begun in 2007. Her past executive leadership service includes Urban Gateways Center for Arts Education, Harris Theater Chicago, The Boston Conservatory, Massachusetts Council on the Arts and Humanities, and Boston Public Schools. She was the co-founder and co-designer of Boston's first arts high school, the Boston Arts Academy. She designed and led the professional development series at Wayne Centre for the Arts in Wooster, Ohio. She is a frequent speaker, facilitator and panelist for local and national agencies including many state arts agencies, the National Endowment for the Arts, Southeast Asian Women Conference and, Berklee College of Music City Music National Conference. 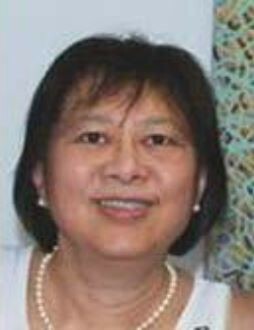 She is active in community service for organizations including the Corporate Responsibility Group of Chicago, the Asians American and Pacific Islanders in Philanthropy, and the Boston Dragon Boat Festival Committee, the last since its founding in 1979. She was the first Chairman of the Boston Human Rights Commission. Libby is bilingual in Chinese and English, and has over 30 years training in dance. From night owls to evening hour commuters, the nighttime plays host to opportunities for engaging the public, but how does programming for the night differ from the daytime? In this webinar, we will hear from an expert in nighttime design to provide basics to plan art programs for the evening hours. With a focus on festivals, watch this webinar to learn some basic ideas on planning for community engagement at night. From night owls to evening hour commuters, the nighttime plays host to opportunities for engaging the public, but how does programming for the night differ from the daytime? In this webinar, “Enlivening Public Space at Night, an International Overview of Light/Art/Festivals” explores the topic of art and design after dark. The subject will cover public art and programming. You will hear from Leni Schwendinger, an artist and expert in nighttime design. With a focus on light festivals, view this webinar to learn about the range of celebrations – from children’s lantern parades to sophisticated fine art installations. After registering, be sure to check out further resources and handouts in the tabs above. You can download a PDF of this presentation in the "Handouts" tab. Artist Leni Schwendinger is a recognized authority on the many issues and applications of city lighting with more than 20-years of experience creating illuminated environments for public spaces all over the world. Her innovative interdisciplinary practice, nighttime design urbanism, focuses city districts’ darkened hours and includes community involvement methodologies. This work is shared through Leni’s public speaking engagements, including the worldwide “NightSeeing™, Navigate Your Luminous City” program, most recently in Prague, Czech Republic, Sydney Australia, Seattle Washington (USA) and Bogota, Colombia. Recent and ongoing projects include the Enhanced Design Initiative for the New York City subway, several bridges in Canada, and art projects for the Cleveland Rapid Transit District, among others. Professional awards include such recognition as multiple Lumens from the Illuminating Engineering Society, SEGD and the NEA Japan Residency Fellowship. Schwendinger has enjoyed extensive coverage in design press and media. She is currently a Visiting Research Fellow at the London School of Economics, a Design Trust for Public Space Fellow. Most importantly, Leni is currently directing a startup, International Nighttime Design Institute, https://nighttimedesign.org/ to establish an after-dark, design-focused, profession. In her role at Americans for the Arts, Patricia has grown the annual Public Art Preconference to over 300 attendees, moderates a 400+ membership network of public art professionals and travels frequently to communities across the country to engage and learn from her colleagues working locally. She manages partnerships with Smart Growth America/Transportation for America and the American Planning Association, and continues to develop strategies to engage allied fields to cultivate policy and practice that supports public art in communities across the country. Prior to arriving in D.C., Patricia lived and worked in many communities across the US. 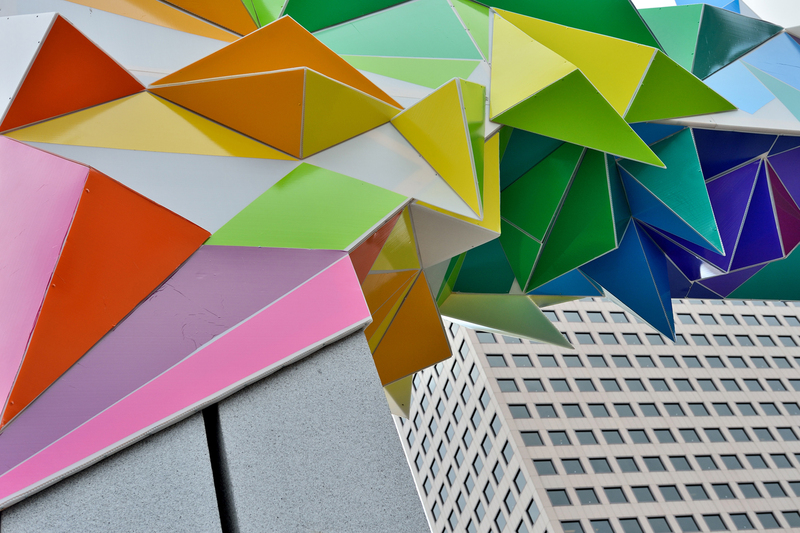 She held positions in public art for the Arts Commission for the City of Las Vegas and the City of San Jose Public Art Program. She served on the City of Palo Alto Public Art Commission, as a committee member for genARTS Silicon Valley, an initiative of the Arts Council Silicon Valley dedicated to serving emerging leaders, and volunteered with the City of Oakland public art program. The Comprehensive Marketing Planning Workshop centers on 10 steps marketers can use to produce comprehensive marketing plans. Plans all too often today are made ‘on the fly’ and under the duress. Well intentioned marketing activities often yield poor results when deep and thorough planning did not occur prior to implementation. By following these tried and true 10 steps, marketers will increase their potential for success. Participants will learn the significance of the 10 steps presented and how to execute each one well. Participants will learn how to analyze a business situation and then prepare and propose marketing tactics and strategies. Participants will also learn how to measure and evaluate effectiveness. Join Arts Education Program Manager, Jeff M. Poulin for an overview of Americans for the Arts’ celebration of National Arts in Education Week. You will learn about our professional development opportunities during the week as well as the many resources available for you to celebrate, advocate, and participate. You’ll have a chance for Q&A, so feel free to bring your specific question or examples of how you have celebrated National Arts in Education Week in the past! Member Briefings are our monthly opportunity to talk to you about what’s happening now! Everyone now and then we do Special Edition Member Briefings to cover timely topics. 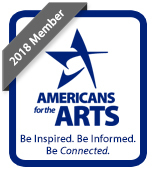 Mark your calendars for the third Tuesday of every month at 3pm to stay up-to-date on what’s happening at Americans for the Arts and across the sector. These calls are for you, so please let us know if there’s a topic you’d like to know more about by contacting Cristyn Johnson at cjohnson@artsusa.org. This #ArtsEdChat will foster discussion about BROADENING AND DIVERSIFYING THE LEADERSHIP PIPELINE. In 2017, Americans for the Arts conducted research to illuminate effective practices of emerging and veteran leaders in the field of arts education to explore strategies toward broadening and diversifying the leadership pipeline. The research was intended to inform the development of programming to assist in skill building for intergenerational dialogue, and to support the concept of cyclical mentorship among new and seasoned leaders in the arts education field. The research revealed five key themes, and this #ArtsEdChat will foster discussion about BROADENING AND DIVERSIFYING THE LEADERSHIP PIPELINE. Follow @Americans4Arts for more information, host @JeffMPoulin for questions, and be sure to use #ArtsEdLeadership and #ArtsEdChat to follow the conversation. This #ArtsEdChat will foster discussion about CREATING YOUR COALITION. The research revealed five key themes, and this #ArtsEdChat will foster discussion about CREATING YOUR COALITION.